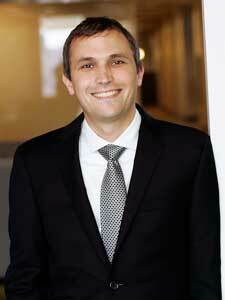 Nick focuses his practice on counseling and litigation in all stages of the employment relationship. He has handled cases at every stage of the litigation and appellate process and has experience with cases involving discrimination and harassment, retaliation, wrongful discharge, non-compete issues, collective actions related to wage and hour claims and contract disputes. Nick is a graduate of the Ross T. Roberts Inn of Court program. During law school, Nick also had the honor as serving as a legal intern for the Honorable Robert E. Larsen, Magistrate Judge for the U.S. District Court Western District of Missouri and as an intern at the Public Interest Litigation Clinic where he assisted in the appellate representation of individuals on death row. Nick has been named to the Missouri & Kansas Super Lawyers Rising Star list for the years 2014-2018.